On Friday June 19th, the end of school year party heard around the city commenced at Dr. Jorge Prieto Math and Science Academy. 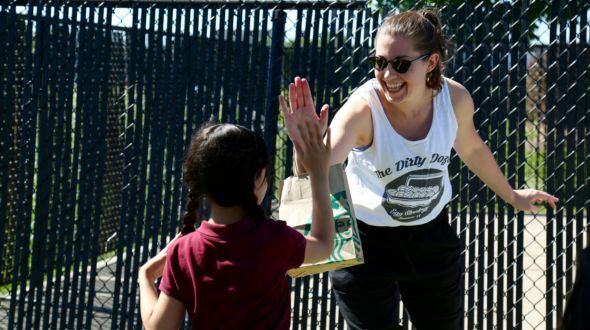 Over 1,000 K-8th grade students were treated to a wonderful day in the sun featuring various games, inflatable obstacle courses, dunk tanks, and, of course, SMOOTHIES provided by Urban Initiatives’ volunteer partner Egg Strategy. The carnival is a celebration to award scholars who have earned points through good work throughout the school year. Each point translates into a ticket to use at the Carnival, so students save them all year and use them for various games, prizes, and treats at the carnival. Every year the event is a big hit, and Urban Initiatives is always happy to be part of the celebration. 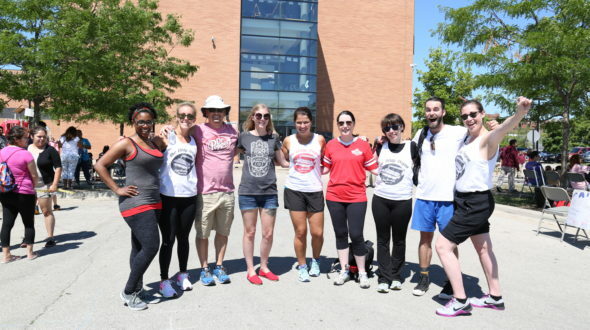 For the second year in a row, a team of volunteers from Egg Strategy, a consulting firm in the Loop, traveled to Prieto to support the school’s staff in running the carnival. 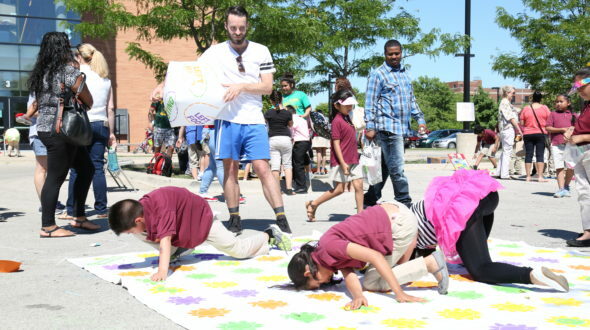 Volunteers ran play stations that featured sack races, giant Twister, and temporary tattoos. We couldn’t agree more. Thanks for helping make carnival amazing, team Egg! Coach Kevin, our School Based Program Coordinator at Prieto, wanted to be sure to give a BIG shout out to Kathleen Buckley and the PBIS team at Prieto for taking the lead on an amazing day. The school year just ended, but we’re already looking forward to next year!